How Late Is Too Late for a Kid to Start Youth Sports? Is It Ever Too Late for a Kid to Start a New Sport? With high-stakes competitive play continuing to spread to younger children, it's easy to feel like anything past age 5 is "too late" for a child to start a sport. Whether it's a good idea or not, kids do play competitively at very young ages and choose just one sport to specialize in earlier than ever. So can your child succeed as a late bloomer? Can he enjoy himself if his teammates have been playing for years and he's just getting started? If your child simply wants to try a new sport, or play it for fun, it's never too late. After all, trying is how we figure out what we like. 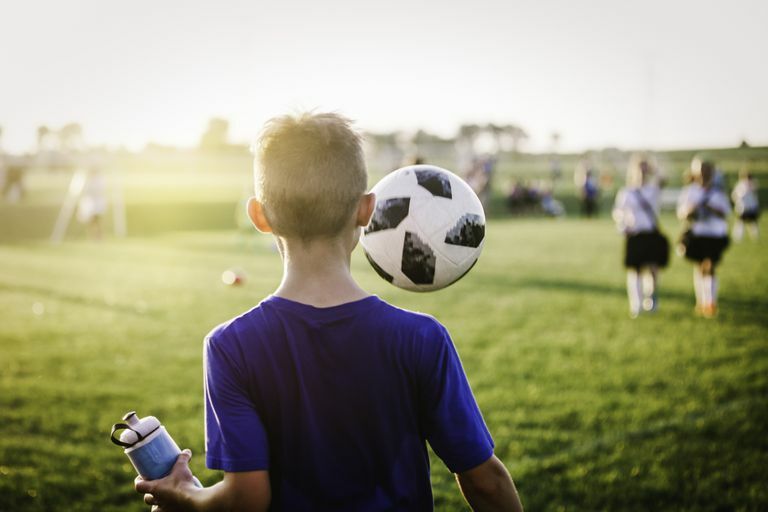 Helping your child connect with a physical activity he enjoys is much more important, for his lifelong health, than getting him onto a high-level team or winning him a college scholarship. If this is your child's situation, look for instructional (vs. competitive) programs, classes, or leagues. You might hire a high school student to provide individual or small-group lessons, just to give your child a taste of a sport he's curious about. On the other hand: Is your child gunning for a spot on an elite team in a popular sport such as soccer, basketball, gymnastics, or baseball? In that case, starting the sport for the first time at age 12, or 10, or even 8 may be too late, depending on the options available in your community. A child who works hard, is passionate, and has a natural talent for the game may still be able to rise through the ranks. But it could be a challenging and frustrating experience. Whether intentional or not, coaches and teammates often reward players who start early and specialize at a young age. Starting early doesn't guarantee success, and starting late doesn't preclude it. There are some steps you can take to improve your child's experience if she gets a late start in sports. If playing at an elite level is her dream, she might consider a less popular sport, such as golf, rowing, or cross-country running (although levels of popularity and demand vary from one community to another). Or, look for a sport in which she can compete individually instead of having to elbow her way into a team, such as martial arts or figure skating. Once she's gotten a taste of the sport and knows she really likes it, a private coach could be helpful, or even essential. Before your late-starting child joins or tries out for a team, have a candid talk about what she can expect to experience. Sadly, other kids may be less than welcoming, or even downright intimidating, to a newcomer. It's unfortunate that parents and coaches allow this behavior, but preparing for it in advance may help your child respond. Try role-playing and other "what if ..." chats. If your child has a friend who's already on the team, that may help. And if you have a choice of coaches, teams, or leagues, look for one that emphasizes skill development and sportsmanship instead of winning at all costs. Once your child begins playing her new sport, bolster her self-esteem by praising her for her hard work and bravery. Provide her with extra coaching and practice time if you can. Emphasize her effort and determination more than points scored or results achieved. Help her manage disappointments with sensitivity, and enlist the coach's help if you need it. Do what you can to help her thrive, and then let her passion for her chosen sport work its magic. Good luck to you and your athlete! How Do Kids Start Out in Figure Skating? Should Your Kid Play Football? Is Your Child Ready to Play a Competitive Sport?